Background: Oral lichen planus (OLP) is a chronic inflammatory disease of the oral mucosa with treatment challenges for clinicians. Aims: The objective of this study is to compare the effects of cryotherapy as a new modality with topical corticosteroids as a conventional therapy in the treatment of OLP. Materials and Methods: Thirty patients with bilateral OLP lesions were selected. From each patient a lesion on one side was chosen randomly for a single session of cryotherapy with nitrous oxide gas and the lesion on the other side received triamcinolone acetonide 0.1% ointment in orabase. Treatment outcome was measured by means of an appearance score, pain score (visual analogue scale), and severity of lesions before treatment and after 2, 4 and 6 weeks of treatment. Statistical Analysis Used: Paired samples t-test and Wilcoxon test. Results: In both methods of treatment sign score, pain score and severity of lesions was significantly reduced in all follow-up sessions (P < 0.05). But the treatment outcome and relapse was not significantly different between the two treatment methods (P > 0.05). Conclusion: Cryotherapy with nitrous oxide gas is as effective as topical triamcinolone acetonide in the treatment of OLP with no systemic side effects and needs less patient compliance. It can be considered as an alternative or adjuvant therapy in OLP patients to reduce the use of treatments with adverse effects. As it is reported in literature the cellular and molecular changes, and treatment protocols of cryotherapy for different lesions in the oral and peri-oral region are yet to be investigated by experimental means. , So the aim of this study is to compare the effect of cryotherapy with nitrous oxide gas versus topical corticosteroids in the treatment of OLP. From the patients referred to the Oral Medicine Department of Shiraz Dental School Iran, from July 2012 to January 2013, 30 patients with bilateral clinically and biopsy proven OLP lesions were chosen. The lesions were sized ≤ 4 cm, similar in form bilaterally with < 1 cm difference in size, and had not received any treatment for OLP at least 1-month prior to the beginning of the study. The patient's exclusion criteria were those presenting with systemic diseases, pregnancy, drug consumption, smoking, patients with lesions contacting dental amalgams and patients with dermal and other mucosal involvement at the time of therapy. All systemic conditions were thoroughly evaluated including hepatitis-C. The patients were asked to bring their recent medical records and if necessary their physicians were contacted for more information. The study protocol was approved by the Shiraz University Institutional Ethics Committee. All patients signed an informed consent form. From the existing lesions on the right and left side of the buccal mucosa or tongue, one lesion was chosen randomly for cryotherapy with a cryo-probe (experimental lesion) [Figure 1]. The chosen lesion received one session of 20-25 s freeze-thaw cycles with N 2 O gas under local anesthesia. The probe tip was chosen according to the size of the lesion and the center of the lesion was frozen in larger lesions. The maximum freezing temperature was −89°C. For the treatment of the lesion on the other side (control side), patients were instructed to use a triamcinolone acetonide 0.1% ointment in orabase (Teriadent, RAHA pharmaceutical co., Iran) on the dried lesion 3 times daily for 1-week. From the 2 nd week the use of the ointment was tapered (2 times daily on week 2, once a day on week 3, alternate day on week 4 and discontinuation on week 5). The patients had to place a square sponge gauze cut out the same size as the lesion on the control side after the application of the ointment for 15-30 min, to achieve better adhesiveness and longer contact. On the 1 st week of therapy all patients were given nystatin oral drop (100,000 units) 1 h after the use of the ointment, 40 drops 3 times a day. Also diphenhydramine elixir was prescribed to use as a mouth rinse before meal times only if pain existed on the 1 st week. The patients were evaluated in three follow-up sessions; after 2, 4 and 6 weeks from the beginning of the treatment [Figure 2]. The cryotherapy procedure was carried out by one clinician for all patients and the measurements were performed by a different clinician who was blind to the treatments used by the first clinician on either side. RPAE score = (R × 1) + (P × 1.5) + (A × 2) + (E × 2.5). Data analysis was done using SPSS version 17 (SPSS INC., Chicago, IL, USA). The statistical tests used were the Paired samples t-test and the Wilcoxon test. All 30 patients selected for the study came for the first follow-up session. Two patients chose to discontinue the study protocol after 3 weeks and other treatments were begun. Two patients were also excluded on week 4 due to poor compliance and wrong use of ointment. Three patients did not come for the third follow-up session. So by the end of the last follow-up session seven patients or nearly ¼ of the patients dropped out of the study. Eight patients were male and twenty two were female. 25 (83.3%) patients had lesions on the buccal mucosa and five patients (16.7%) had tongue lesions. 22 patients (73.3%) had been treated before for OLP and had recurrent lesions. Eight patients (26.7%) had a history of dermal and other mucosal involvements that were successfully treated. Both treatments had reduced the sign scores significantly (P < 0.05) [Table 1] and [Table 2]. But the results of the paired samples t-test showed no significant difference in sign score changes between the two groups in all follow-up sessions (P > 0.05). Pain reduction was seen in both groups. The difference between the two groups was significant with the Wilcoxon test in the first and second follow-ups, but not in the third follow-up session [Table 3]. Data analysis using the Wilcoxon test showed that both treatments reduced the severity of the lesions significantly in all follow-up sessions (P < 0.05) [Table 4], but the difference between the control group and the experimental group was not significant using the paired samples t-test (P > 0.05). The EI are shown in [Table 5] [Table 6] [Table 7]. Improvement was similar in both groups (P > 0.05). After 6 weeks from the beginning of treatment, 63.33% of the experimental lesions and 46.67% of the control lesions needed further treatment with other modalities. This difference was not significant with the Wilcoxon test (P > 0.05). No serious postoperative complication was observed. 17 patients (56.7%) reported minor swelling at the side cryotherapy was performed. 12 patients (40%) had experienced pain augmentation in the first 7-10 days after cryotherapy. No side-effects were seen at the follow-up sessions. The main finding of this study is that cryotherapy with nitrous oxide gas can be as effective as topical triamcinolone acetonide ointment for the treatment of OLP. There have been reports of erosive and atrophic OLP being cured previously with cryosurgery ,, but to the best of our knowledge, no randomized controlled clinical trial has been carried out before to further evaluate this effect. Loitz and O'Leary reported a large erosive OLP of the tongue treated successfully with nitrous oxide cryosurgery with no relapse after 20 months of follow-up. The use of liquid nitrogen with cotton swab application (open technique) is also reported in the treatment of erosive OLP of the tongue and buccal mucosa. With this method two freeze-thaw cycles of 30-50 s were used. This technique has less control compared to the use of cryoprobes with nitrous oxide gas (closed technique). Due to the rapid evaporation of the liquid nitrogen from the cotton swab numerous cycles are needed for better effects and there is no control on the temperature achieved within cells and the freezing area. Furthermore, the temperature of liquid nitrogen is less than nitrous oxide, −191°C compared to −89°C. This can have more destructive effects on oral tissues. Hypertrophic and plaque type OLP are also treated with the use of cryotherapy. But we did not find any documented method for the treatment of these lesions. There are reports of treated oral leukoplakia which resembles plaque type OLP with the use of cryotherapy. Leukoplakia is a precancerous hyperkeratosis of the oral mucosa. For the total removal of these lesions numerous sessions of cryotherapy are indicated. ,,, Because OLP can resemble leukoplakia and malignant potential is also reported in these lesions, cryotherapy which leaves less scarring can be a better option for the removal of larger plaques of OLP in esthetic zones compared to conventional surgery. Furthermore, stimulation of the immunologic factors such as IgG and IgM levels is seen after freezing the oral mucosa, hence helping in the treatment of dysplastic lesions. , Also it is believed that the antigenic nature of the cells at the site of treatment with cryotherapy is changed. This change makes the cells more susceptible to host surveillance mechanisms. This effect can be the cause of healing in inflammatory lesions such as OLP. It is assumed that in "specific ulcers" such as herpetic and aphthous ulcers after freezing a nonspecific or "traumatic" ulcer is produced. This ulcer heals more rapidly than a "specific ulcer". This can also be the case in erosive and ulcerative OLPs. The effect of local vasoconstriction after cryotherapy and the reduction in blood flow is probably seen in higher temperatures, where there is no destruction in tissues. This effect reduces the cytotoxic elements in the blood and hence reduces the damage caused by them. After the application of very low tempratures in the oral cavity the epithelial basal layer is severely damaged but the parabasal and other layers of the epithelium are less affected. The microvasculator are damaged and edema and increased permeability is seen 1-6 h following the procedure. Regional nerve damage is apparent immediately following the end of the thaw cycle, and this makes the procedure painless. But this damage is reversible and regeneration occurs in a week. This is the cause of swelling and discomfort seen in some of our patients in the 1 st week after treatment. There are studies which compare the effects of local corticosteroids with other treatments in OLP. , The main difference of our study with other literature is that the two modalities being compared are tested in a single individual. This makes the comparison more reliable because many factors remain unchanged in the experimental and the control group. Jajarm et al. reported the benefits of low level laser in the treatment of OLP. Laser therapy also has no systemic side effects like cryotherapy, but the number of sessions needed to gain favorable outcomes is more than cryotherapy (10 sessions in Jajarm's study). This increases the chair side time and is not cost effective. In our study the only significant difference seen in the two groups was the result of pain reduction in the 1 st few weeks after therapy. Pain was reduced more significantly in the lesions treated by cryotherapy. Since other measurements such as severity of lesions and improvement score were not significantly different in the two groups, this can be due to the new treatment and its psychological effects on the patient. Unfortunately in a number of patients from both groups recurrence of lesions was seen after 6 weeks. Although insignificant but the recurrence is seen more in the cryotherapy group compared to the steroid group. This shows that although cryotherapy reduces pain and inflammation acutely but it might not have good long-term results. For long-term maintenance of the effects adjuvant therapy might be needed. A study designed to evaluate the effects of cryotherapy in combination with steroids might help to answer this in the future. Also as it has been previously studied best results are seen in previously untreated patients. 73.3% of our patients were recurrent cases of previously treated OLPs. We believe that newly diagnosed OLPs patients should be treated with cryotherapy to evaluate its real effectiveness and its role in recurrence prevention. A double blind study with a placebo cryoprobe may be more informative in the effects of cryotherapy on OLP. But it would be unethical not to treat lesions that are symptomatic. Although our sample size was small and long term follow-up was not possible due to change of treatment in patients with recurrent and unhealed lesions after the study time, the results show that cryotherapy can be a new treatment considered in the management of OLP. Although further randomized controlled clinical trials are needed to support these findings. The authors thank the Vice-Chancellory of Shiraz University of Medical Sciences for supporting this research (Grant # 90-01-03-4246). This article is based on the thesis by Dr. Maryam Zahed. The authors also thank Dr. Mehrdad Vosooghi of the Dental Research Development Center of the School of Dentistry for the statistical analysis. Mollaoglu N. Oral lichen planus: A review. Br J Oral Maxillofac Surg 2000;38:370-7. Lodi G, Scully C, Carrozzo M, Griffiths M, Sugerman PB, Thongprasom K. Current controversies in oral lichen planus: Report of an international consensus meeting. Part 2. Clinical management and malignant transformation. Oral Surg Oral Med Oral Pathol Oral Radiol Endod 2005;100:164-78. Eisen D, Carrozzo M, Bagan Sebastian JV, Thongprasom K. Number V Oral lichen planus: Clinical features and management. Oral Dis 2005;11:338-49. Scully C, Eisen D, Carrozzo M. Management of oral lichen planus. Am J Clin Dermatol 2000;1:287-306. 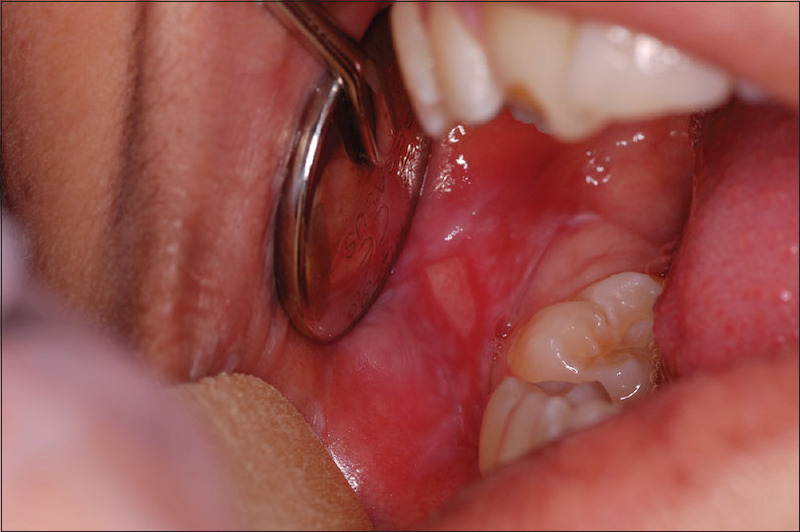 Thongprasom K, Carrozzo M, Furness S, Lodi G. Interventions for treating oral lichen planus. Cochrane Database Syst Rev 2011;7:CD001168. Plemons JM, Rees TD, Zachariah NY. Absorption of a topical steroid and evaluation of adrenal suppression in patients with erosive lichen planus. Oral Surg Oral Med Oral Pathol 1990;69:688-93. Jajarm HH, Falaki F, Mahdavi O. A comparative pilot study of low intensity laser versus topical corticosteroids in the treatment of erosive-atrophic oral lichen planus. Photomed Laser Surg 2011;29:421-5. Torti DC, Jorizzo JL, McCarty MA. 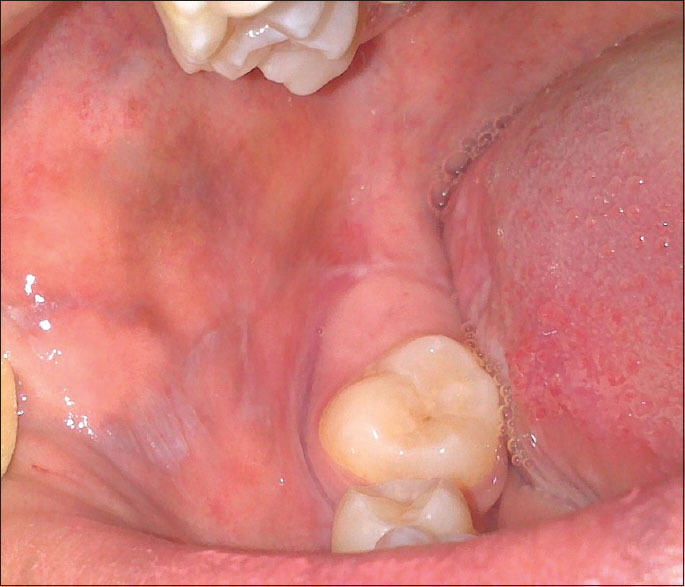 Oral lichen planus: A case series with emphasis on therapy. Arch Dermatol 2007;143:511-5. Loitz GA, O'Leary JP. Erosive lichen planus of the tongue treated by cryosurgery. J Oral Maxillofac Surg 1986;44:580-2. Freiman A, Bouganim N. History of cryotherapy. Dermatol Online J 2005;11:9. Baust JG, Gage AA. The molecular basis of cryosurgery. BJU Int 2005;95:1187-91. Tal H, Cohen MA, Lemmer J. Clinical and histological changes following cryotherapy in a case of widespread oral leukoplakia. Int J Oral Surg 1982;11:64-8. Gage AA, Fazekas G, Riley EE Jr. Freezing injury to large blood vessels in dogs. With comments on the effect of experimental freezing of bile ducts. Surgery 1967;61:748-54. Kujan O, Azzeghaiby SN, Tarakji B, Abuderman A, Sakka S. Cryosurgery of the oral and peri-oral region: A literature review of the mechanism, tissue response, and clinical applications. J Investig Clin Dent 2013;4:71-7. Gorsky M, Raviv M. Efficacy of etretinate (Tigason) in symptomatic oral lichen planus. Oral Surg Oral Med Oral Pathol 1992;73:52-5. Kawczyk-Krupka A, Waskowska J, Raczkowska-Siostrzonek A, Kosciarz-Grzesiok A, Kwiatek S, Straszak D, et al. Comparison of cryotherapy and photodynamic therapy in treatment of oral leukoplakia. Photodiagnosis Photodyn Ther 2012;9:148-55. Yu CH, Chen HM, Chang CC, Hung HY, Hsiao CK, Chiang CP. Cotton-swab cryotherapy for oral leukoplakia. Head Neck 2009;31:983-8. Lin HP, Chen HM, Cheng SJ, Yu CH, Chiang CP. Cryogun cryotherapy for oral leukoplakia. Head Neck 2012;34:1306-11. Fazio M, Airoldi M, Mastromatteo V, Negri L, Gandolfo S, Furlani D. Cryosurgery as a stimulator of the host's immune defences in benign and malignant oral cavity tumours. Panminerva Med 1982;24:195-201. Svanberg A, Ohrn K, Broström H, Birgegård G. The effect of cryotherapy on oral mucosa: A study in healthy volunteers. Med Oncol 2012;29:3587-91. Laeijendecker R, Tank B, Dekker SK, Neumann HA. A comparison of treatment of oral lichen planus with topical tacrolimus and triamcinolone acetonide ointment. Acta Derm Venereol 2006;86:227-9.